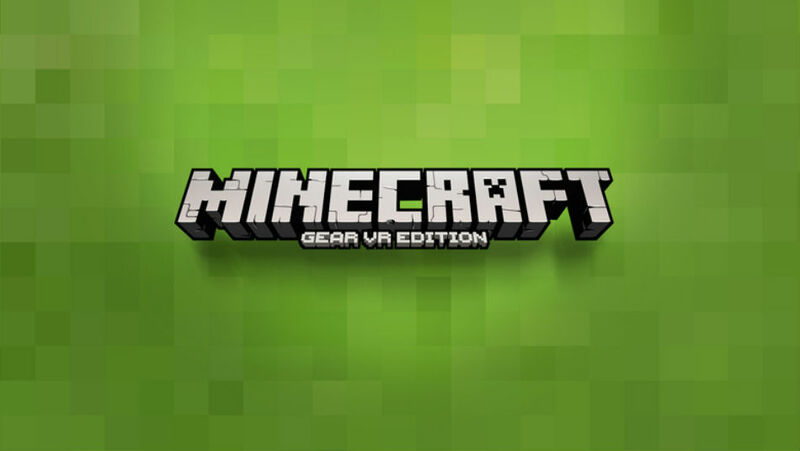 For anyone who owns a Gear VR and compatible smartphone, Minecraft Gear VR is now available from the Oculus Store. Priced at $6.99, Minecraft Gear VR brings the same experience as Minecraft: Pocket Edition, but this time, you can be inside the world that you create. Both a survival and creative mode is available for playing, but more importantly, multiplayer is completely supported. Using a paired gaming controller, you can bash mobs who wish to destroy you, build castles, mine deep into the world, or do whatever it is you do during your Minecraft sessions. As previously stated, everything that is available in the Pocket Edition of Minecraft is available on Gear VR, which includes skins and different playing modes. However, there are two different viewing modes for those on Gear VR. One, which Oculus says is a bit more comfortable, is a theater mode. With this, you are sitting in a virtual Minecraft room, playing the game on a wooden TV. The other is a bit more immersive, which delivers a more FPS aesthetic. Both are highlighted in the trailer video below. You can find the Minecraft Gear VR app in the Oculus Store, priced at $6.99. If you are looking for a gaming controller to interact with the game, Oculus suggests the StratusXL for $60. For those who may condescendingly ask, yes, Minecraft is still a thing and yes, it’s still very popular. No, you are not cool for hating Minecraft.